​God will meet you where you are at. Here at Open Arms, we want to make an impact in your life, your community and in the world. How do we go about that? By leading people to Jesus and helping them become fully devoted followers of Christ. That's the driving purpose behind everything we do. On Sunday, when you visit the Parrsboro Elementary School Gym at 10:00am, you will be greeted with a warm and friendly smile. Enjoy a coffee or tea and then be seated to participate in our worship service. As you spend time with us, we hope you’ll join us in our mission and we hope you will grow in your spiritual journey with Jesus. There’s no better way to get to know us than to jump right in. We look forward to meeting you. Sunday to Sunday is quite a long stretch between having your cup filled again with scripture and the fellowship of good friends. Why not join a community group that meets during the week to visit, ask questions, and learn about how the Word of God can be applied to our lives? ​ If you have missed the sign up for the current community group, give us a call. 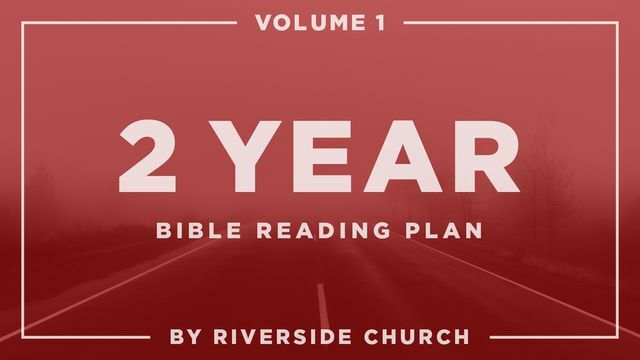 Hey everyone I had mentioned on Sunday doing a bible reading plan as a whole church. I have signed up and here is the link. I have also made it a two year plan for those who are super busy, It also gives us more time to reflect. Help bake some cookies for the love in action outreach. We want to say Happy Easter to our community so we will do that by passing out free hot chocolate and cookies and returning shopping carts for people! Easter Weekend Services: Everyone is welcome to attend! ​Note the two different locations. We love the fellowship we have after Sunday services but sometimes its not long enough! Join your church family at the Adshade's house ( 42 king Street across from the school) for a Easter Social Potluck following the clean up of the church service. Main Dish and chocolate will be provided. If you can't bring something to eat, that's okay! Please join us anyways, we would love to have new faces to visit. Join us on April 26th at the Elementary School gym during Sunday service as we talk about moving forward! May 5th we will be having a very important business meeting. We will be discussing and voting at this meeting. Open Arms is a part of a fellowship and they are having the Regional convention! ​Talk to Doug or Denis for details! Save the Date! Join us in cleaning the town on May 25th. We will meet at the band stand with directions of what areas need the most attention and then will regroup later for free hotdogs! Gravity is going to the One Conference! For More Details Click This Awesome Button! Please follow the link to the conference to learn more about it. The Open Arms Building hosts events and bible studies.